The Palace Of Mad King Ludwig is the second Mad King Ludwig themed board game from Bezier games. 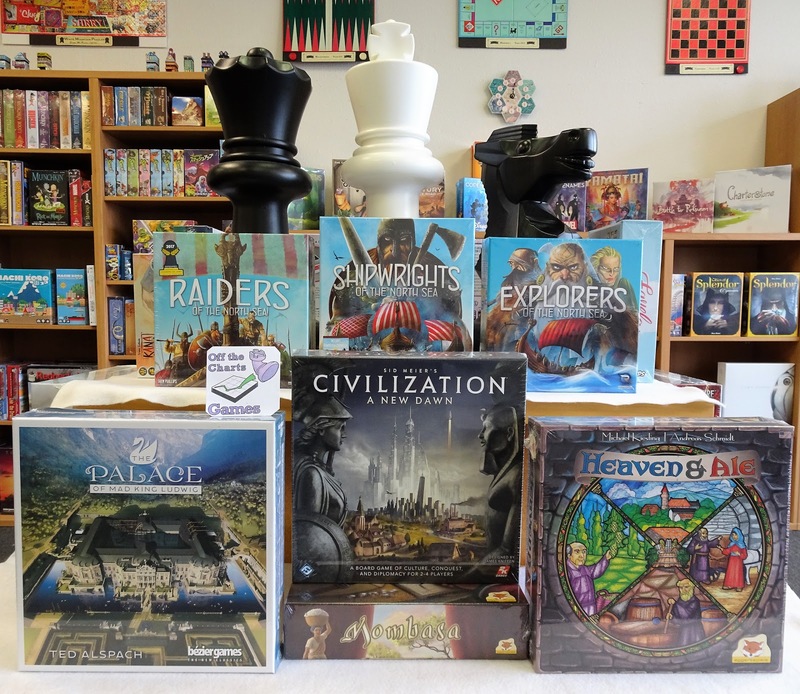 The first game, Castles of Mad King Ludwig, each player constructs their own palace whereas in The Palace Of Mad King Ludwig players are constructing one central castles. Both designed by Ted Alspach are separate stand-alone games that play differently. 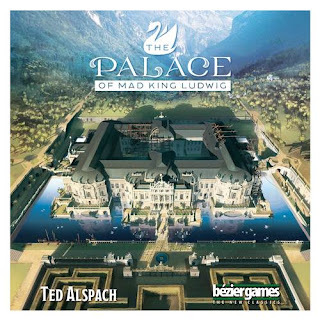 The Palace of Mad King Ludwig is a separate stand-alone game where each player builds rooms one at a time in a single gigantic palace. As rooms are completed, a moat slowly forms around the outside. The game ends, when the ends of the moat connect. During the game, players will arrange and complete different rooms types while leveraging clever placement of swans. The player who contributes the most to the palace wins. 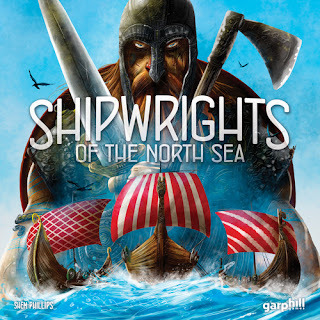 Shipwrights Of The North Sea is the next in the North Sea Saga series that follows the progress of the Viking culture. The others being Raiders Of The North Sea and Explorers Of The North Sea. Each is a stand-alone game and plays differently. In Shipwrights Of The North Sea players compete to construct the greatest fleet on the North Sea. They must collect oak, wool and iron, as well as getting other craftsmen on board to help. Gold is a precious commodity, and must be spent wisely. The township is filled with an array of characters, bad and worse. In from Eggertspiele is Heaven & Ale, a tile-laying, resource management game. 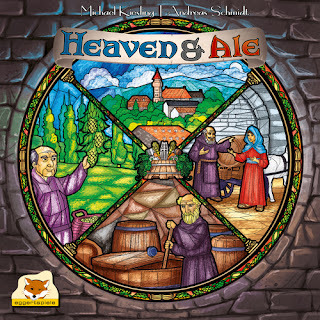 As the head of an ancient monastery, you strive to provide the people with heaven’s best ale! Over several rounds, you compete with your opponents for resource tiles and monk tiles to improve your cloister’s garden. You must balance buying new tiles and taking the scoring discs that let you reap the rewards of those tiles. This is no easy task, as you all compete for the same tiles and the same, very limited, scoring discs. The player who plans her cloister’s garden most carefully, developing the most synergies among her resource, monk and shed tiles, has a good chance of winning. But winning is only possible if you manage to balance your resources and the progress of your brewmaster so that by the end of the game you have filled lots of barrels with high-quality beer.